Billy Graham appeared in a number of films from World Wide Pictures—the motion picture division of the Billy Graham Evangelistic Association. This photo shows the evangelist on a movie set during a break in filming. Tired of perusing less-than-wholesome digital movies in search of a clean one? Amazon Prime is offering 17 digital movies from the Billy Graham Evangelistic Association (BGEA). The films were produced by BGEA’s motion picture division—World Wide Pictures (WWP). In addition, Amazon Prime features 12 sermons from Billy Graham. These 30-minute Billy Graham Classics episodes offer timeless messages of hope, with topics ranging from daily living to eternal salvation. Amazon Prime subscribers can view the movies and Billy Graham Classics for free. The films are available to non-subscribers for rent or digital purchase; the Billy Graham Classic sermons are available for purchase. So when the BGEA began making movies in 1951, it wasn’t to entertain Christians. In fact, some Christ-followers were wary of motion pictures. The ministry’s goal was to share the Good News through any means possible. The productions were well-made, dramatic and appealing to non-Christians. World Wide Pictures became a pioneer in sharing the Gospel message through motion pictures. In many cases, WWP movie audiences received materials explaining how to come to Jesus Christ in repentance and faith after the showings. These included response cards that were mailed directly to BGEA headquarters for follow-up. Film production was set in motion with WWP’s first dramatic movie, “Mr. 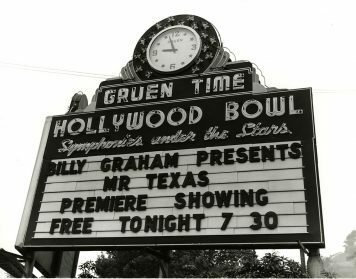 Texas.” Premiering at the Hollywood Bowl in 1951 with 25,000 people in attendance, it was the largest single premiere in the history of motion pictures at the time. 500 people responded to the invitation to receive Christ. 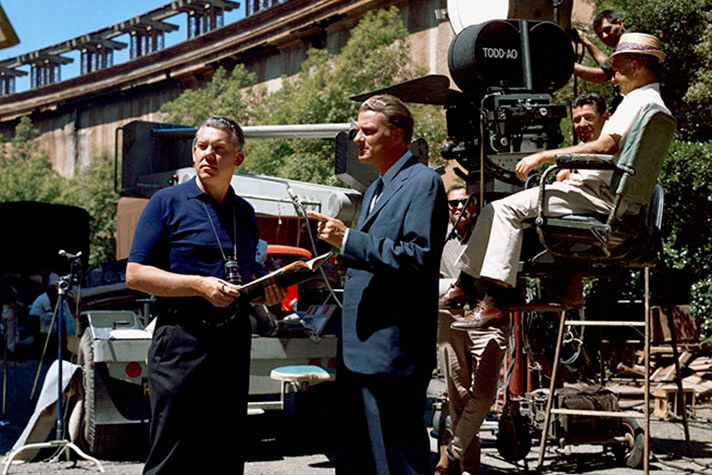 Billy Graham appears in a number of the films, which span from 1955 to 2003. Some of the productions have been translated into as many as 38 languages and shown around the world. In all, World Wide Pictures produced over 130 films and most importantly, recorded more than 2.5 million decisions for Christ. Additionally, several BGEA films are currently available on the Pure Flix streaming platform. The Christian movie production company offers a number of BGEA titles in both English and Spanish. Commit to Christ. Pray now. Note: In 1965, “The Restless Ones“ was the first Christian movie ever released in theaters. TV personality Kathie Lee Gifford was among half a million people who made commitments to Jesus Christ after watching the film.